He truly is concerned with the entire person. He is sensitive to you needs and listens very intently. He is never in a hurry and makes you feel you are his number one concern. Dr. Steves sincere professionalism mixed with his tender care and wit. I feel he is up to date on the latest and greatest medical care and procedures. I has already given his card to many people with exceptional praise. Dr. Steve listens, cares and attentive to your needs with great compassion and professional wisdom. Dr Steve has been a great friend as I have learned to get through my pain and discomfort. He has treated me with very tender care and professionalism. I appreciate his practice and the attentiveness I have received. Its been only two weeks and I feel great. Actually, I started to feel better after my first visit. Dr. Steve has a very gracious bed-side manners. He takes the time to explain things so you understand whats happening. Miraculous! Dr. Steve is truly concerned with the entire person. He is sensitive to you needs and listens very intently. He is never in a hurry and makes you feel you are his number one concern. 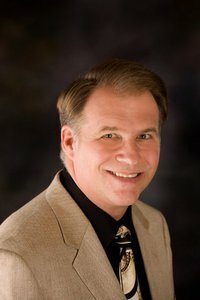 Dr. Steve listens, cares and is attentive to your needs with great compassion and professional wisdom. Dr. Steve is truly is concerned with the entire person. He is sensitive to you needs and listens very intently. He is never in a hurry and makes you feel you are his number one concern. I have learned to get through my pain and discomfort. He has treated me with very tender care and professionalism. I appreciate his practice and the attentiveness I have received. The staff was very concerned about my well-being. Dr. Steve has worked with me in scheduling, fees and whatever I needed to feel better. He is truly concerned with getting me well and healthy and not just collecting his fee. Dr. Steve listens to you. He can help your body heal itself naturally. Dr. Steve is very competent. He listens and offers solutions on how to feel better and what to do. Dr. Steve is great at getting you back to normal health. With regular chiropractic visits. I feel much better and move about more freely. Dr. Steve listens to his patients and genuinely cares to see their health improve. My life is so much better when I see Dr. Steve on a regular basis. He is the Best Doctor ever! Dr. Steve is honest, professional and truly cares about his patients.